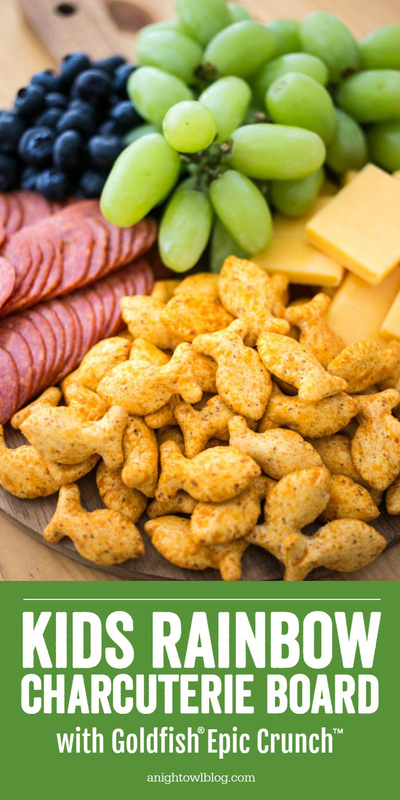 Perfect for after school snacks and more, make snack time EPIC with an adorable and delicious Kids Rainbow Charcuterie Board with NEW Goldfish® Epic Crunch™! DISCLOSURE | This post is sponsored by Goldfish®, but all thoughts and opinions are my own. Hi friends! 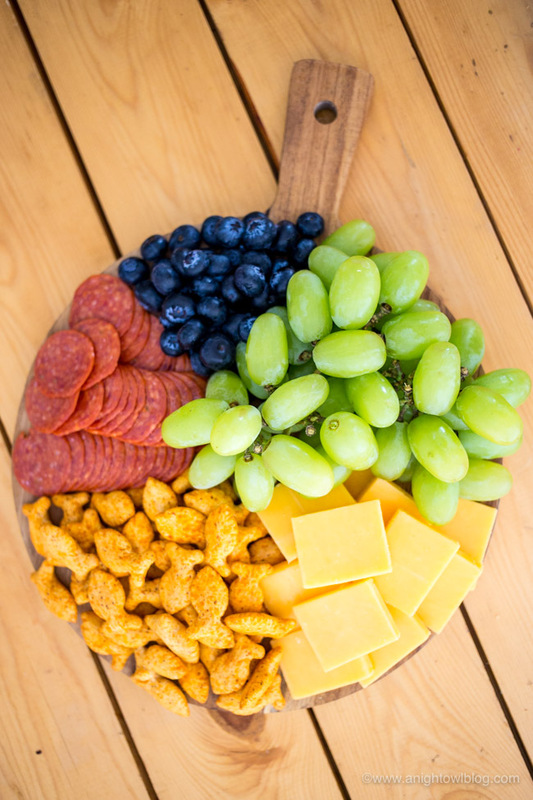 What is snack time like in your home? With three growing boys in our house, I snack time is of utmost importance. So I’m always looking for fun ways to fill those bellies and you know what, Goldfish crackers are always at the top of that list. So when I heard that Goldfish had a new product on the market, I knew we had to try it. 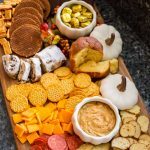 And once I got my hands on NEW Goldfish Epic Crunch crackers, I thought it would be so much fun to put together an EPIC Kids Rainbow Charcuterie Board! 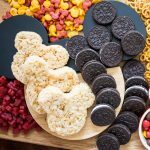 It’s easy, only takes a few minutes to put together and anchored with Goldfish Epic Crunch, your kiddos are going to LOVE it! 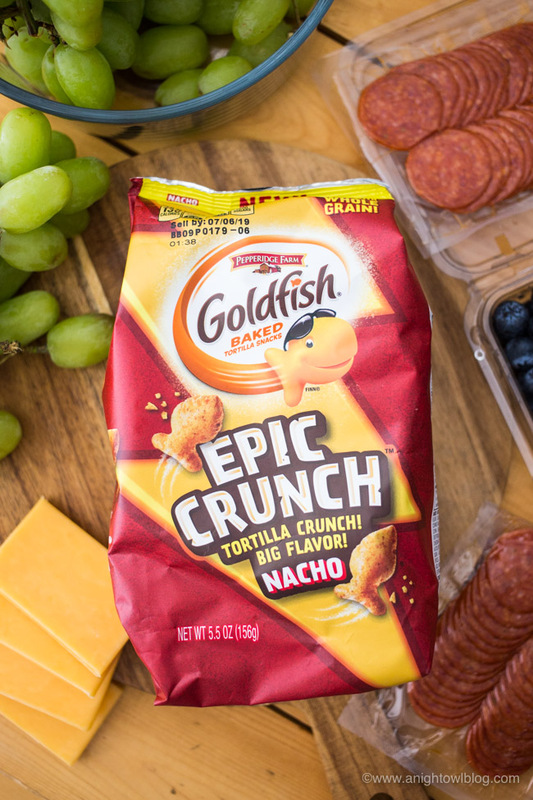 Goldfish Epic Crunch is a new, exciting Goldfish experience with a tortilla crunch! It’s everything your kids love about Goldfish crackers, now with a bold, big crunch your kids ask for. 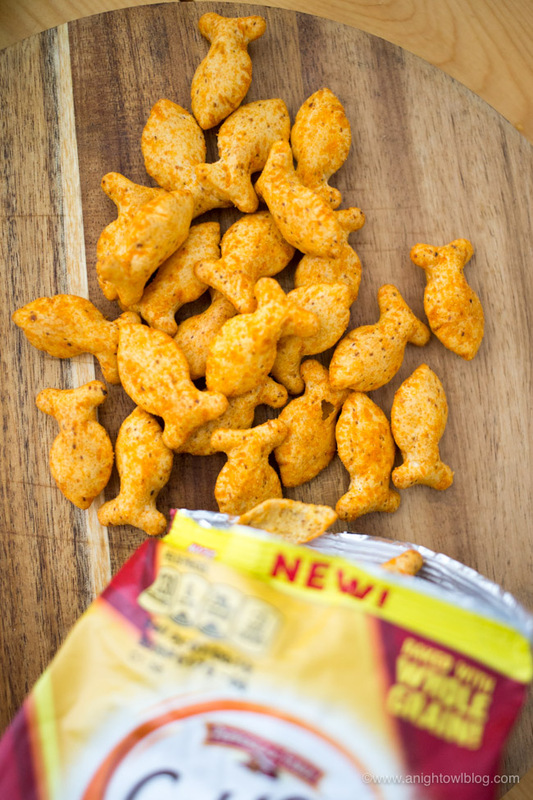 Its 3-Dimensional shape is uniquely designed for bigger kids, and comes in an exciting, crunchier texture then regular Goldfish. I knew my big boys were going to love getting their hands on these! Goldfish Epic Crunch is the perfect solution for snack time that your kids love. The Nacho Epic Crunch is a super cheesy, zesty flavor that is made with Whole Grain, always baked (never fried) and has no artificial flavor or preservatives. 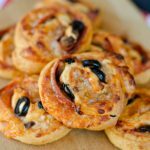 So it’s a snack that you can feel good about feeding your family. 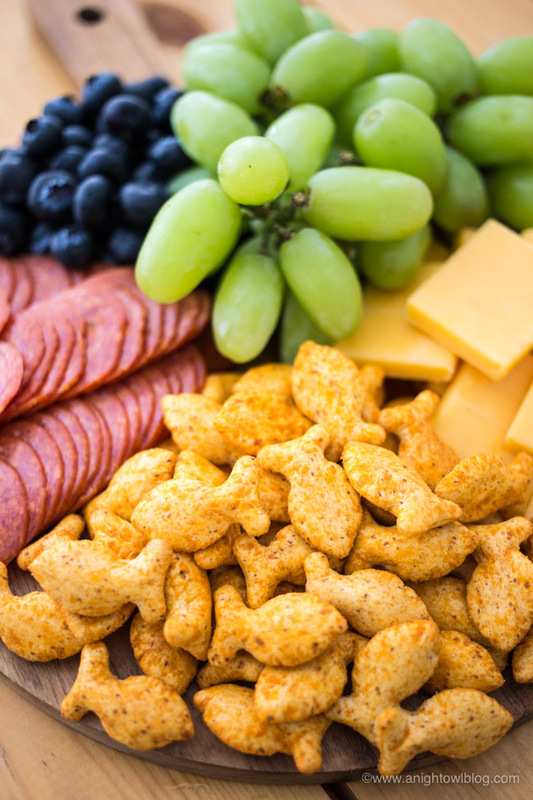 Starting with “Red,” we simply arranged the snack items in ROYGBIV order: red pepperoni, orange Nacho Goldfish Epic Crunch, yellow cheese slices, green grapes and blue blueberries. We used a small round board we had on hand, but you could use any cutting board or even a plate to make your Rainbow Snack Board. This size is great for 2-3 kids, if you have less to feed you could use a small plate or if you have more, a larger board. 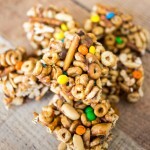 Your kids are going to love getting their hands on these delicious Goldfish Epic Crunch snacks! Shop now for Epic Goldfish Crunch and let us know what you think!